Who were our first patriots? What’s the difference in Patriot’s Day and Patriot Day? Who are patriots today? Patriots’ Day is a state holiday in Maine and Massachusetts, with Tennessee recently joining but only as a recognition of the day. Paul Revere rode from Boston to Lexington to warn of attack. Others rode with him and split off to warn others along the way: William Dawes and Samuel Prescott. Then as they warned folks along the way, those people also rode in many directions to sound the alarm for neighbors. Many indentured servants earned their freedom by enlisting as a Patriot in the American Revolution. Lose the “s” and September 11th is titled Patriot Day as a national remembrance of the day thousands of people died in the terrorist attacks on the U.S.A.
Patriot Day, September 11th, is a Federal holiday while similarly named Patriots’ Day is not. Almost 3,000 people lost their lives during the terrorist attack on 9/11. Thousands more were injured. Both historic dates created heroism in Americans who did not think of themselves, rather they put themselves in harm’s way to save others. 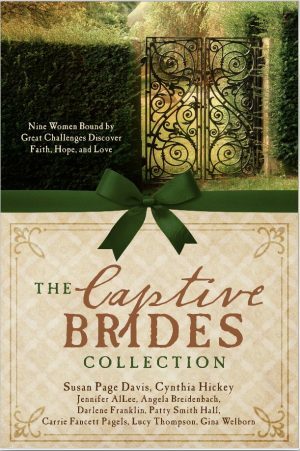 Book: Captive Brides, Barbour Books, Oct. 1, 2017 includes Angela Breidenbach’s historical romance, His Indentured Bride, set in the beginning of the American Revolution. About Angela Breidenbach: The host of Lit Up! on Toginet Radio, Angela writes romance through the ages. She’s also the president of the Christian Authors Network. Her radio shows and books are always family-friendly, always good for your heart. Previous Article Previous Article: Ageism in Publishing?